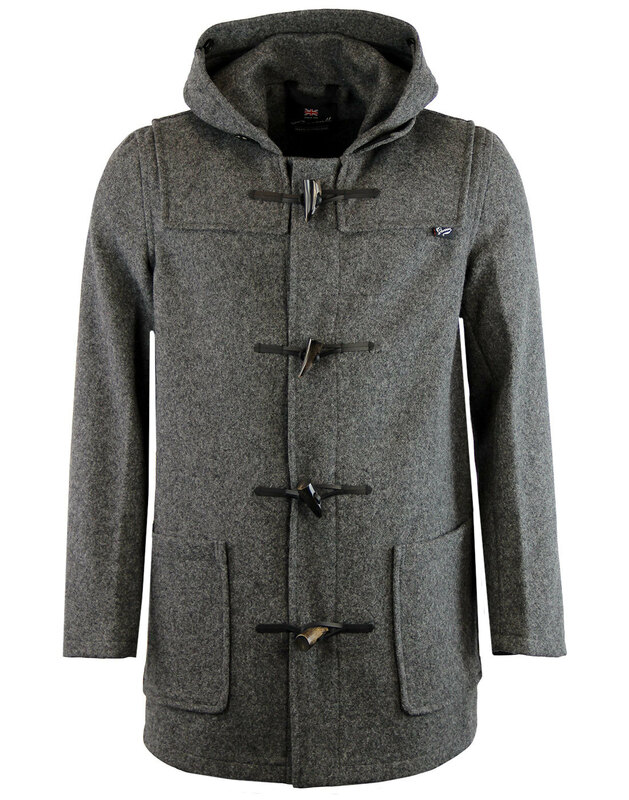 Gloverall Men's Retro 1970s style mid length duffle coat in grey, crafted from English melton wool cloth and made in England. The iconic Mid Length Duffle Coat by Gloverall is the very epitome of Retro charm with stylish pancake hood, buffalo horn toggles and leather loop fasteners. 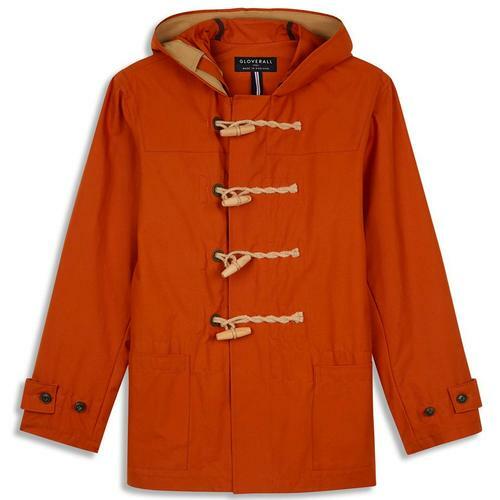 The Gloverall Men's Mid Length Duffle Coat conjures up images of 1960s Mod culture, the 1990s Indie Britpop era and countless scenes of winter! Finished with cool Retro detachable throat tab can be buttoned up to provide extra warmth on colder days. 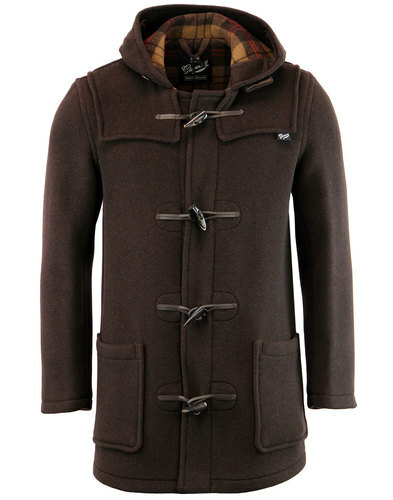 The Mid Length Duffle Coat by Gloverall is a timeless outerwear classic. 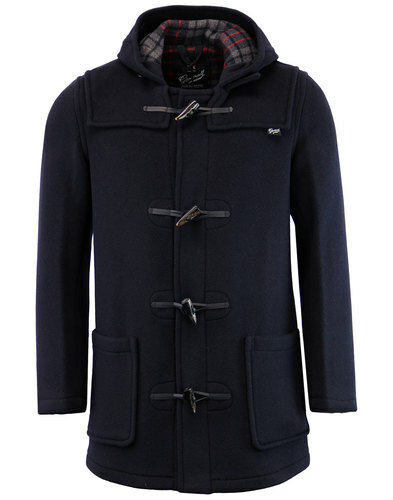 - Gloverall Men's Mid Length Duffle Coat in Grey. - Made in England from finest English Melton wool cloth. - Textured marl fabric finish. - Classic Retro pancake hood. 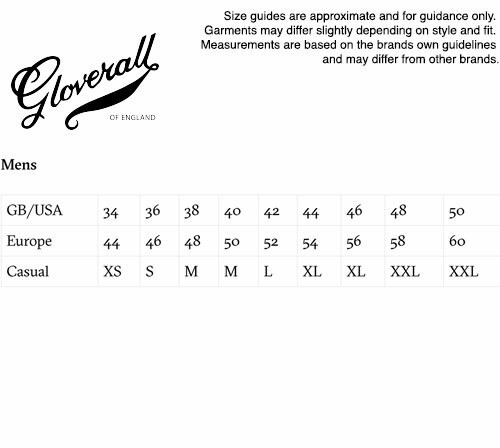 - Traditional Gloverall fixed shoulder cape. - Retro buffalo horn toggles. - Detachable throat tab that can be discreetly affixed along the side of the hood. - 2 classic duffle patch pockets to sides. - SKU: MC3251- EM - CMD Mid Length Duffle Jacket.